Before you pick out that granite – and maybe you shouldn’t – we have some suggestions to consider. Often described as the center of the home, kitchens hold a special place for most families. It’s a place to gather, cook, eat and drink and a place, perhaps more than any other, that you worry about the healthiness of the environment. But not to worry, there are several design and material choices you can make from the start that will help ensure your air is clean, your counters naturally fight bacteria and mold never becomes a problem. Use and under-mount sink to keep things cleaner with fewer harsh chemicals. Swap the granite for a naturally antimicrobial surface: Kitchens can promote the growth of dangerous bacteria and microbes. 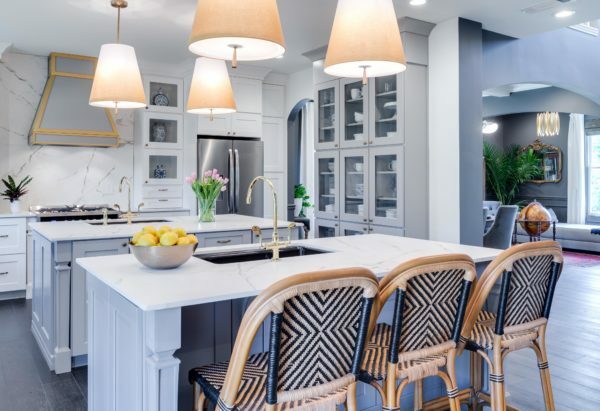 Rather than inundating their homes with chemical cleaning products, some homeowners are instead choosing antimicrobial surfaces such as quartz and copper, both of which combine an appealing aesthetic with a natural defense against bacterial growth. Copper is the first solid metal to gain EPA public health registration and is being used to create antimicrobial sinks, faucets, hardware and switch plate covers. Go under on your sink: Under-mounting the sink helps minimize the potential for microbe growth by eliminating the bacteria-trapping lip between the edge of a standard drop-in sink and the counter surface. Although this is not a new innovation, it is becoming more popular as awareness of the impact of such choices on health and wellness grows. Make your walls work for you: Formaldehyde-absorbing and mold resistant drywall such as AirRenew® M2Tech from CertainTeed uses an innovative technology to remove formaldehyde from the air and convert it to a harmless inert compound contained safely within the board. It installs like standard drywall and will continue to work within the home to reduce formaldehyde exposure and improve overall IAQ for up to 75 years. AirRenew® M2Tech® also provides enhanced moisture and mold resistance making it a perfect choice for high-moisture areas such as kitchens, baths and laundry rooms. Invest in a good range fan: And use it every time you cook, especially if you have a gas or propane cooking appliance. Leave the fan on for five to ten minutes afterward, to make sure all contaminants have been removed. When shopping for a range hood, Consumer Reports recommends going bigger – any hood should be at least as wide as the cooking surface; avoiding over-the-range microwaves, even the best can’t vent as well as a range hood; and most importantly, make sure it vents outside. Ductless vents just disseminate the smoke throughout the kitchen and the rest of the house. One thing not to worry about? Exhaust speed. Their report found faster venting does not necessarily mean better venting. Read the complete Buyer’s Guide here. Plants absorb CO2, but they are great at neutralizing other compounds too, such as formaldehyde and other VOCs. Plant a kitchen garden: Not only will you always have fresh herbs at the ready, plants are great at neutralizing formaldehyde and other VOCs. Of course, plants absorb CO2, but they absorb other compounds, too. Think a garden is too much work? Any house plant will do. Research conducted by NASA shows that flowering chrysanthemums (“mums”) are especially effective at removing pollutants, including ammonia, benzene and formaldehyde, from the air. According to the study, golden pothos ivy, spider plants and philodendron are the most effective in removing formaldehyde. Switch to green cleaning supplies or store separately. If you are ready to make the switch, resources abound online to help you find and evaluate green cleaning supplies – this list of eight from Real Simple is a good place to start. However, if you’re not ready to move away from your favorites, as with all hazardous chemicals, it’s best to store them in an unattached garage or separate building, and make sure to dispose of them properly. 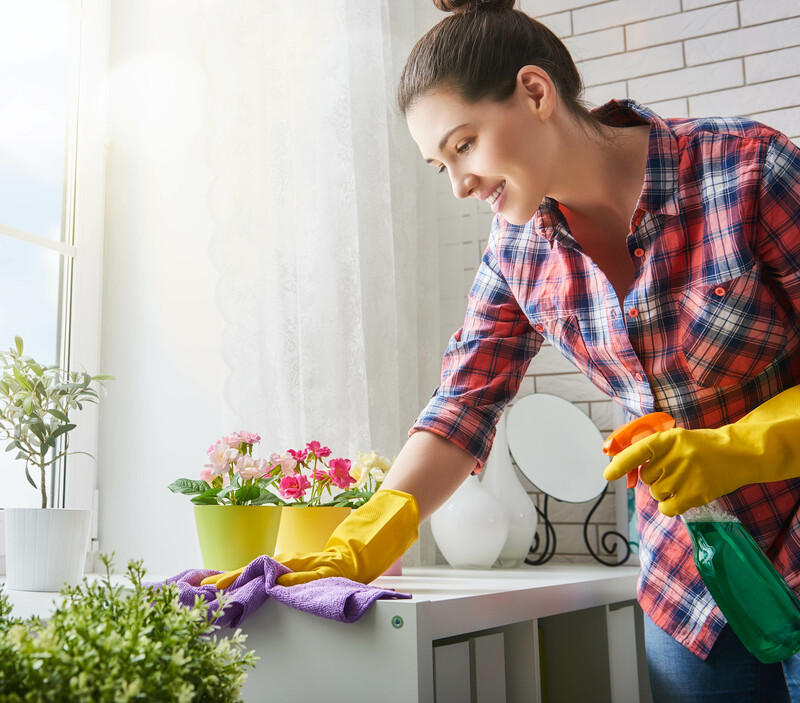 We spend 90 percent of our time indoors, according to the EPA, levels of indoor air pollutants are two to five times higher than outdoor levels, so it makes sense to spend a little time considering what we bring into our homes. Fortunately, there are many simple ways to improve IAQ and the overall comfort of your family, both during construction and once the home is occupied. Are you concerned about the air quality in your kitchen? What tips or switches have you used to make your kitchen environment healthier? Leave us a comment below. To learn more about how solutions from CertainTeed can contribute to creating healthy homes, visit CertainTeed.com/CleanTheAir or give us a call. We can answer questions and point you in the right direction. Sometimes we have a suggestion you haven’t even thought of. Plus, forget the remote. Why your air may be one of the most important areas you never thought to clean and should you add insulation while your wall are down? We break it down for you. Thanks for pointing out that it is necessary to dispose of your old things properly especially if they might have hazardous chemicals in them. I will keep that in mind since we will be having our kitchen remodeled once we have hired a contractor that we can trust. During the process, there might be items that need to be removed, so there will be lots of waste during and after the renovation. This tip will keep us and our property safe.